Michelle Kunzelmann – <3 Love Love Love <3 this! Christie – LOL! Totally love this, made me giggle! 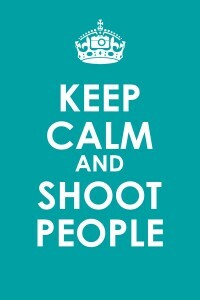 Michael Davis – Keep calm while shooting!Almost impossible to me! Tammy Krummel – beautiful portraits! lori – gorgeous girl…and amazing head shot photographer!!! Tara McGlinchey – She is gorgeous and so approachable looking. Gorgeous headshot, love the video too. Paula – Just love your portrait work. You capture each and every person so naturally! Christie – These are fantastic, you did a great job! Gorgeous girl and I love the variety! Sarah Metz – You do such lovely work! What a gorgeous girl and I love your finishing too – so clean and fresh! Christy Johnson – Gorgeous work, as always, and what a beautiful young lady! She kind of favors Jennifer Garner a bit! lisa – So beautiful! I love the life and character that come out in your images! Anna-Karin – She is gorgeous!! Love the variety you provided for her in her session. Derry – Some excellent, crisp images. Shallyse – These are absolutely stunning – that first image is gorgeous! 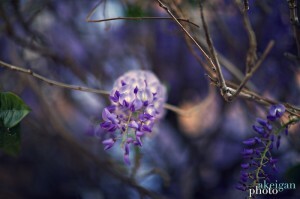 The wisteria will be blooming here soon, and I’m so excited! Meggan – These are lovely!I just adore purples!!! PamN – Sigh…these just make Spring so close, can’t wait until it looks like this where I am! 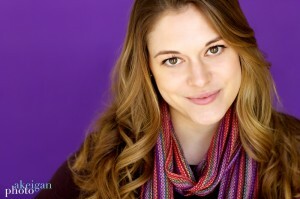 Shallyse – Beautiful headshots – I love how the purple backdrop enhances her gorgeous eyes! Heather Puett – WOW this are beautiful! LOVE the purple. Tammy Krummel – pretty girl, pretty light=pretty images! Sindea Horste – Wow, you sure do get the most gorgeous clients! Great images! Jenny Ruddle – gorgeous, love the bright colours! Anna-Karin – She is beautiful and her eyes are stunning! Kelly – Oh wow, these are gorgeous!! She is beautiful and you captured her so well. The lighting is lovely, the purple is perfect, love love love!! Kim Smith – You have some AWESOME images of a beautiful girl! She has beautiful eyes! Great job on these! 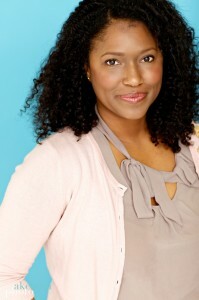 Christy Johnson – Absolutely gorgeous! I love all of them, as usual! Lisa Kelly – She sure is a natural, gorgeous face and her smile is infectious. Lovely captures. Lina – Love it! She is gorgeous, and your captures are amazing! Scarlett Rose from RedX – Wow. Really beautiful.